Following a custom diet often means compromising – but at London Drugs, we're committed to making things less complicated. Browse our wide selection of specialty foods, where we provide a variety of options to fit your dietary needs and make conscious eating more satisfying. Whether you’re looking for the best in non-GMO and fair trade snacks, keeping an eye out for kosher, halal, vegan or vegetarian options, or need to limit or avoid consumption of gluten, nuts or other common additives such as dairy, soy, sodium or sugar, we make it easy for you to find the food that fits your lifestyle. 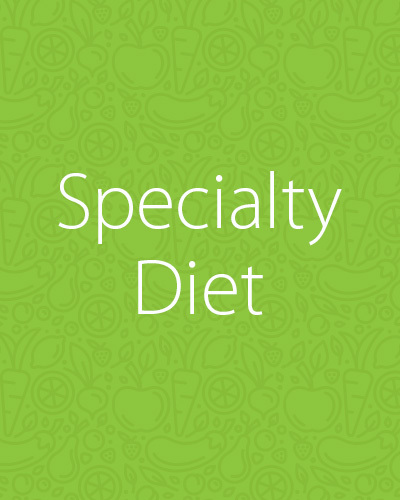 Simply shop our Specialty Diet Pantry, Beverage and Snacks selections and select one or more of the dietary options you’re looking for.